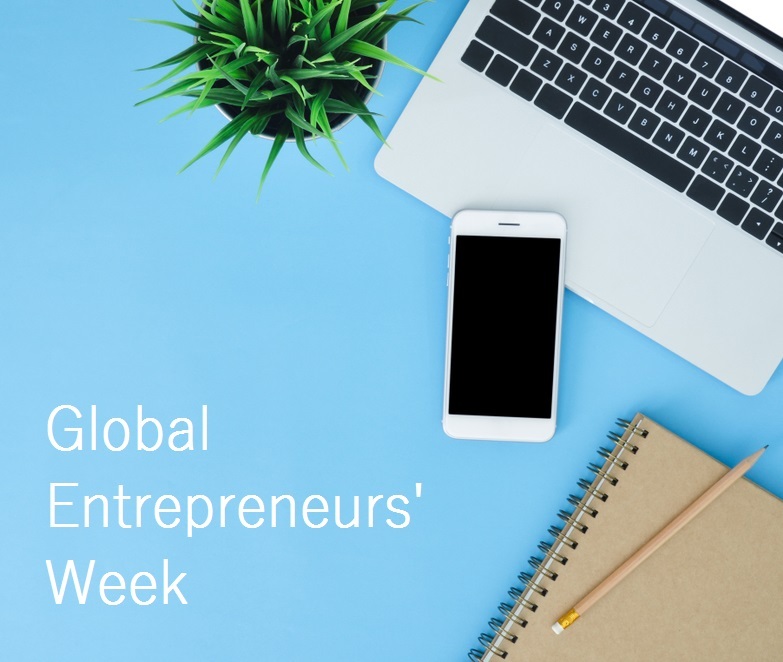 It’s Global Entrepreneurs’ Week this week, so here’s a post from our archives about running a successful business. When you run your own business, there is no training department, appraisal system or boss to breathe down your neck! You need to constantly push yourself. Make the time to take courses, find people you can learn from and who will inspire you and, if you can afford it, hire a business coach to help you take your business to the next level. You need to be really good at credit control. You may be the most talented person in your field, but if you don’t have good cash flow, your business will fail. This article shows that 90% of small businesses fail because of cash flow. Ascendant Recruitment is deliberately different, and we pride ourselves on providing an excellent service to businesses in our local area. I have built this reputation up in Milton Keynes and Northampton alongside the excellent team I have working with me and, to be successful, you need to recruit people who buy into your vision. I have a great team of consultants and support staff at Ascendant Recruitment – you can learn more about them on our website. This is a great quote by Jim Collins in his book Good to Great. What Jim is saying is: try to develop your people to embrace your vision and goals, but if you have to admit defeat then you’ll need to change the person by replacing them. When I’m recruiting within my own team, I’m really clear about my business goals and I’ve been really lucky to have been able to recruit a team that really ‘get’ where Ascendant Recruitment is going. It’s true: you have two ears and one mouth! Listening is a very hard skill, believe it or not. Pay attention to the choice of words that somebody uses and their body language. Not what you’ve got to tell them next! This goes back to the earlier point. Customers are such a wealth of information – failing to listen to what they’ve got to say is the worst mistake you can make in business. Make sure you’re using your time as wisely as possible. If you’re a great salesperson but rubbish at administration, get out there and sell and outsource your admin! If you can’t afford to pay somebody full-time, consider a virtual assistant. Find somebody through the Society of Virtual Assistants website. If you’ve got your plan and set yourself a daily goal, make sure you strive to achieve something every day. Sometimes, my win is to secure a new client, sometimes it might be something personal, like leaving the office on time. It’s really hard to turn business away when it’s your own company. But if a client or candidate doesn’t fit in with your values as a business, then it’s better in the long run to turn away and let them be a bad customer for somebody else. This goes back to the point about knowing your values and the type of company you want to be. You need to be profitable and deliver a service that the market wants but be true to yourself and passionate about the business that you’re running – this will lead to success. There have been many times in the last 15 years that I’ve met someone, and I couldn’t quite put my finger on what didn’t feel right about them. Generally, they had their own self-interests to serve so try to avoid these people! If somebody wants you to do something for nothing, then they won’t value what you’ve got to give – trust your instincts! I mentioned this earlier. Not everybody can afford it, but as a business owner, it’s really tough without a boss to guide you. Sometimes a fresh pair of eyes is a good thing for your business – there could be an easy win that you can’t see because you’re too close to it. If a coach is unaffordable, try to find an accountability buddy – somebody who can spur you on to achieve more who perhaps works in the same sector but in a different location. Make sure you use an accountant who can give you good business advice. And don’t forget LinkedIn – find someone who has been there and done it and ask for their help. Lots of business owners, if approached politely, will be generous with their time. I’m incredibly passionate about setbacks being an opportunity for greater things. As the old saying by Churchill goes: “Success is not final, failure is not fatal. It’s the courage to continue that counts.” In business, there will be things that knock you down. In my second month of trading, my main client went bust and owed me £5,000. It put me in a really difficult position (note again the point about cash flow). But I used it as an opportunity to do more and do better next time. And 15 years later, I’m still learning these lessons but I’m still here! If you’ve enjoyed this blog post, we’d love to send you our regular updates – subscribe to the blog here to find out the latest news and views from the Ascendant Recruitment team. We are a growing team – if you’re interested in a role as a consultant in our Northampton or Milton Keynes office, please drop us a line at info@ascendantrecruitment.co.uk. We’re looking for full-time and part-time roles and are offering a £1,000 incentive!